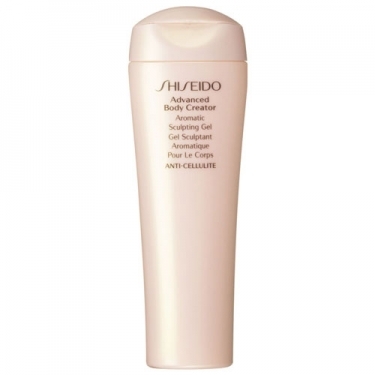 Advanced Body Creator Aromatic Sculping Gel is a light, refreshing, non-sticky skincare gel to refine body contours, leaving skin feeling smooth, firm and moisturized. A refreshing, uplifting fragrance with a hint of grapefruit and spicies n addition to the delicate Japanese fragrance Kuroho. The unique Sculpting Plant Complex work together to help activate fat breakdown, while reducing the ?orange peel? appearance of cellulite for smooth, toned contours. Advanced Body Creator Aromatic Sculping Gel is a light, refreshing, non-sticky skincare gel to refine body contours, leaving skin feeling smooth, firm and moisturized. A refreshing, uplifting fragrance with a hint of grapefruit and spicies n addition to the delicate Japanese fragrance Kuroho. The unique Sculpting Plant Complex work together to help activate fat breakdown, while reducing the "orange peel" appearance of cellulite for smooth, toned contours. Apply in the morning and at night after shower, concentrating on areas prone to cellulite.